Fresh and delicious. Grown without synthetic pesticides, which harm people and wildlife and poison our waterways. Grown without synthetic nitrogen fertilizer, which degrades the soil that is the foundation of all terrestrial life. Picked recently at farms close to San Diego by farmers and workers who live here and recirculate their earnings back into the local economy. Unfortunately, this is not where most of the food in the restaurants and grocery stores throughout San Diego County comes from. 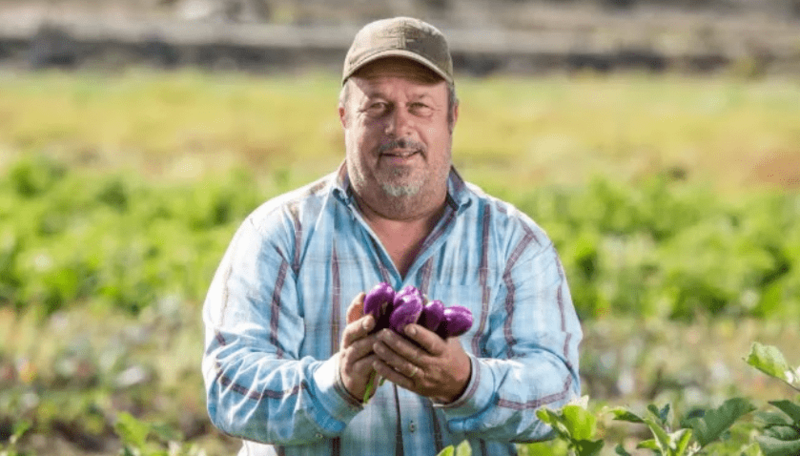 Despite the increasing popularity and success of the now decades-old “local food movement” (across the US and in other countries), very little of what the typical San Diegan eats is actually produced by local farmers. Instead, we get the majority of our calories from cheap, highly processed foods: sodas, fast food, and frozen pre-made meals. Annie Florendo, from Sweet Tree Farm. Her organic fruit is available through Daily Harvest Express. 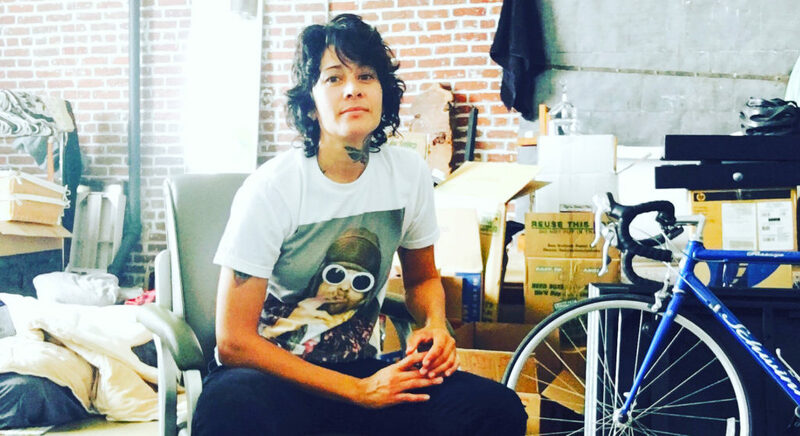 Read her story here. Read Annie’s story here. Raw products from those industrial farms then go through a string of middlemen and processors before making their way to either the middle aisles of a chain grocery store, a fast food restaurant, animal feed, or ethanol fuel. The results of this model? Per capita, the average US citizen spends less for food at the cash register than any other country in the world – which is exactly what the system was designed to deliver. Since the 1970s, despite a general population increase from 205 million to 325 million, the total number of US farms has dropped from about 3 million to 2 million. Want to read more about the challenges facing local, organic farmers? Read the story of Phil Noble of Sage Mountain Farm here. Unfortunately, our ability to produce cheap food comes at a high price. As the Organization for Economic Development (OECD) reported in 2017, the U.S. now has the most overweight population in the world, with 38.2 percent of our adult population obese and nearly 75 percent of the population falling into the “overweight or obese” category. Preventable diet-related diseases such as heart disease, Type 2 diabetes, and many types of cancer, are also rampant. The Center for Science in the Public Interest estimates that preventable diet-related diseases and illnesses cause close to 700,000 premature deaths each year and may cost us close to $1 trillion annually. This health crisis is also one of many factors contributing to the US having the highest per capita healthcare costs in the world. Can the local food movement reverse these trends? This is a question debated by economists, sociologists, policy makers, and farmers alike. The general consensus: the local food movement can certainly help. Local food can put a dent in many of the economic, social, environmental, and human health problems that are rampant in the industrialized food model. Studies on the impact of local food systems show positive effects for local economies. Rather than money leaving the area and going to support non-local farmers, brokers, wholesalers, and corporate shareholders in an increasingly centralized and consolidated system, the dollars are kept circulating in the local economy. 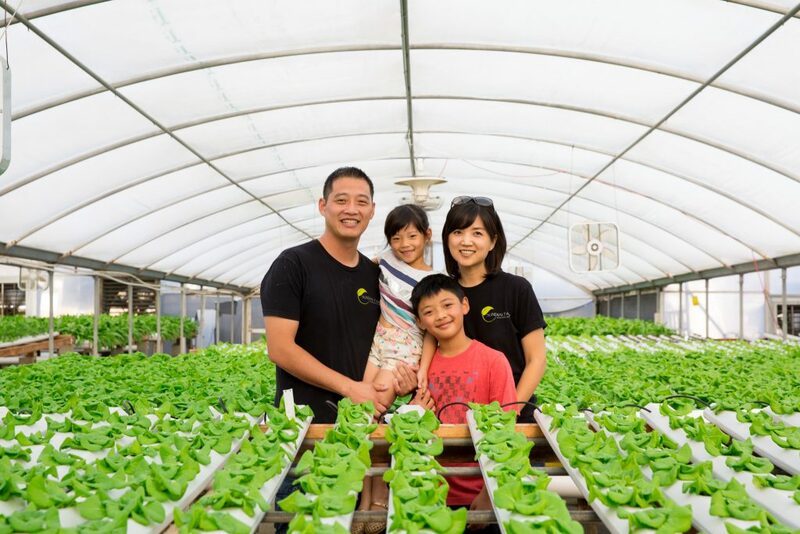 Endeavour Shen with family at Sundial Farms. Read Endeavor’s story here. This translates to more local jobs, higher incomes, more local investment, and healthier food options. If these local farms are also certified organic or sustainability-minded, there are also a host of ecosystem service benefits to boot (cleaner water and air, low/no pesticide contamination, etc.). 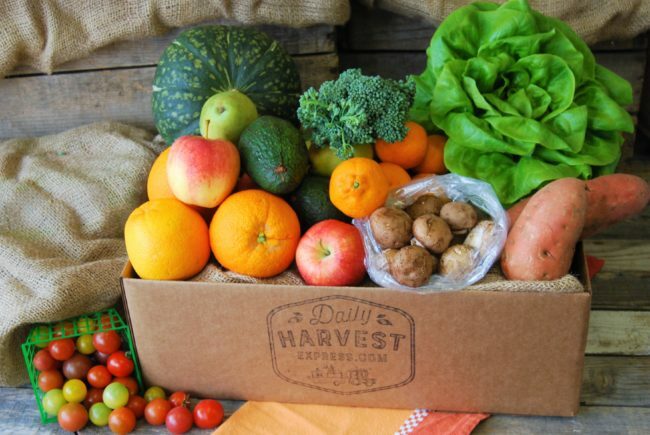 At Daily Harvest Express, we see ourselves as the connective tissue in the beautiful and growing local San Diego food movement. 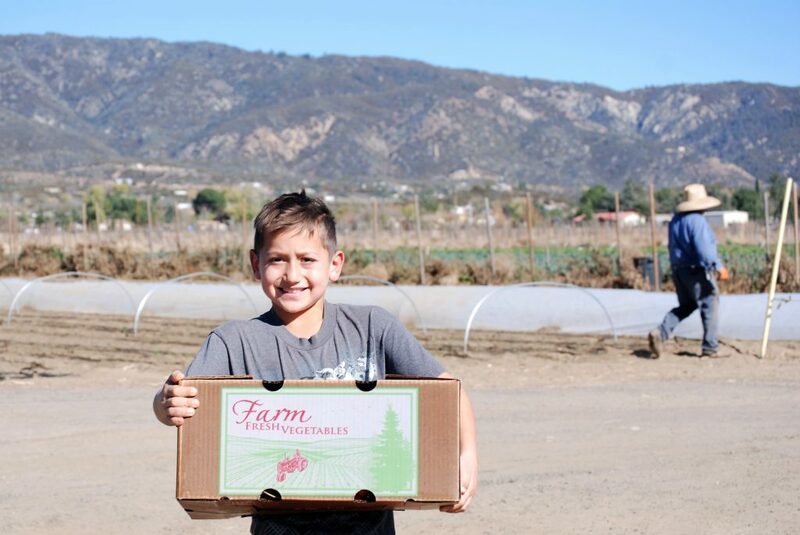 We help local, organic San Diego farmers – We find and support the best local farmers. They get a great wholesale price for their produce with zero marketing costs AND steady, repeat business. We create local agricultural jobs – Our support allows farmers to hire additional workers, accountants, IT professionals, etc. We also create jobs through our own business. We make accessing local organic food easy and affordable – We bring the farmers market to you, whether that’s to your home or office. We also make it easy for people or businesses to customize the foods they want through our website. And we do it all for a price that can’t be beat. We even teach you how to cook – It’s easy to eat a fresh organic orange or apple, but if you also want to learn how to cook using farm-fresh ingredients, we have loads of easy-to-follow instructions and recipes on our blog. We know that the proverbial “seeds” of the local San Diego food movement we’re planting today won’t necessarily be harvested in our lifetimes. But we also know we’ll keep working hard every day towards cultivating a better world, because in the end, that’s a cause worth living and working for. Thank you for supporting local San Diego food, and the families, farmers, and businesses that make it possible! Get your Daily Harvest Express order placed right now (or no later than Sunday evening at 5 pm) so you can enjoy another week of fresh, healthy organic food from local farmers! Subscribe to our weekly newsletter to get more local food & farming news from Daily Harvest Express!